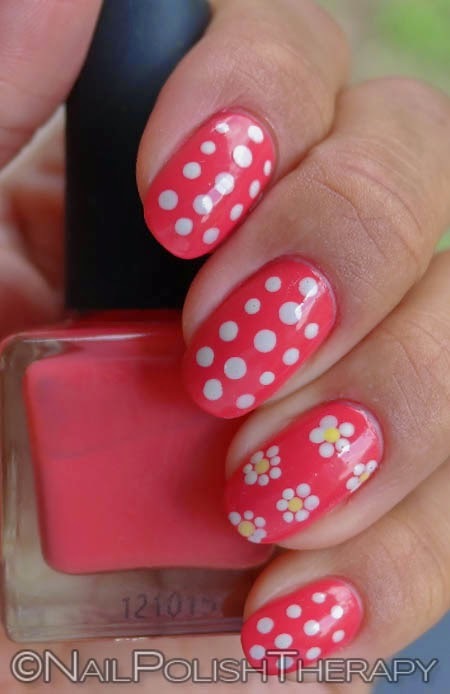 Nail Polish Urban Outfitters Dot Mania, I was getting tired of swatching polish and felt it was time for some simple nail art. I like doing nail art because it allows me to be creative, learn more about technique and HELLO! 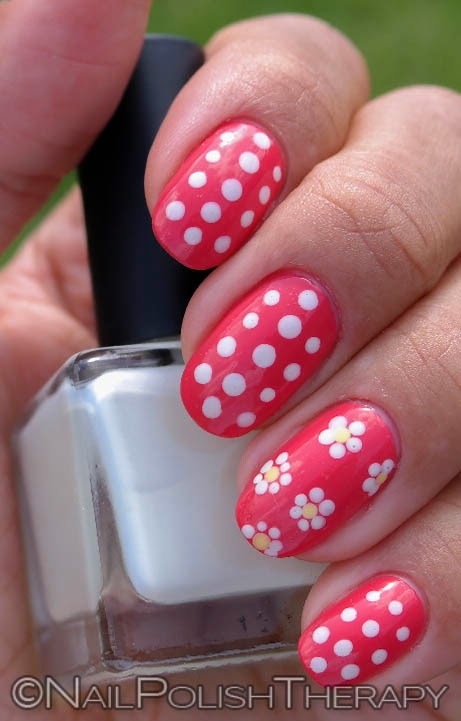 who doesn't like a little nail art to jazz up some otherwise plain color?! 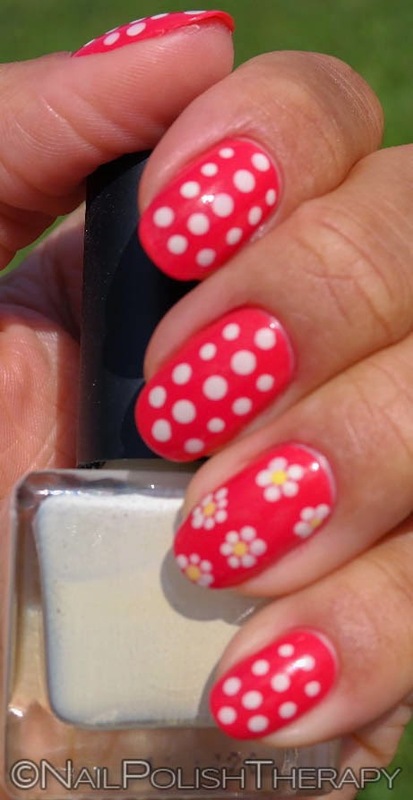 I chose to go with Urban Outfitters Cocktail for the base, with dots in Virgin and Mojave for the center daisies. In retrospect, although I like how the overall design came out I do wish I would have just done daisies. Maybe the next mani I will. Unfortunately I was not impressed with the formula of Cocktail. It was streaky and dried very quickly as I was applying it. 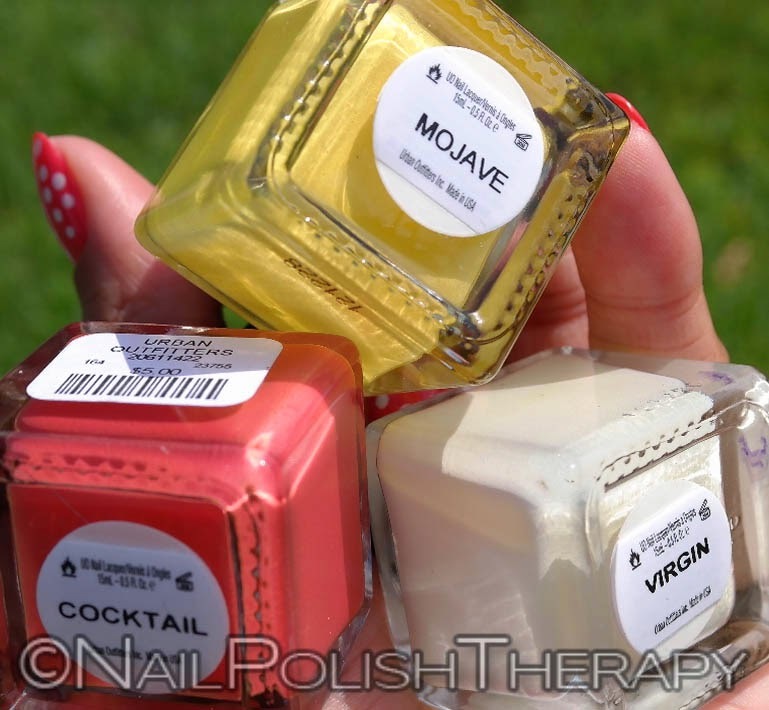 Virgin and Mojave were great for nail art. What suggestions do you have for my next design or this one for that matter?